Born 23 September 1880, Kilmaurs, Scotland. 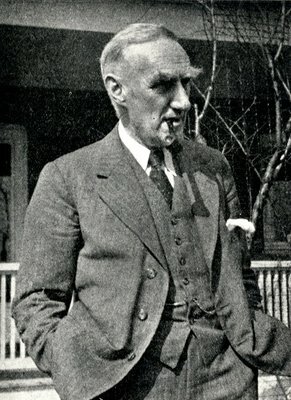 The famous nutritionist and physiologist John Boyd Orr, Baron Boyd Orr of Brechin (1880-1971), was a graduate of the University who was awarded the Nobel Peace Prize in 1949. He was Rector, 1945 to 1947, Chancellor, 1947-1971, and the Boyd Orr Building is named for him. 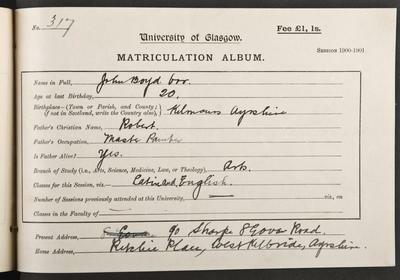 Born in Kilmaurs in Ayrshire, Orr graduated MA from the University in 1902; BSc in 1910 and MB, ChB in 1912. After a short spell at sea as a ship's surgeon, he worked with Professor Edward Provan Cathcart at the University's Institute of Pathology and graduated MD with Honours in 1914. He was appointed director of a new institute of animal nutrition at the University of Aberdeen in 1913. During the First World War, Orr fought at the Battles of the Somme (1916) and Passchendale (1917) winning the MC and the DSO. He returned to Aberdeen in 1919 and raised the funds to build the Rowett Institute. He was awarded a DSc from the University of Glasgow in 1920. Orr led pioneering studies in the nutrition of farm animals and human populations. He provided the core of the Government's food nutrition policy during the Second World War and he became Director-General of the Food and Agriculture Organisation, 1945-1948. He was awarded an honorary LLD degree in 1947. 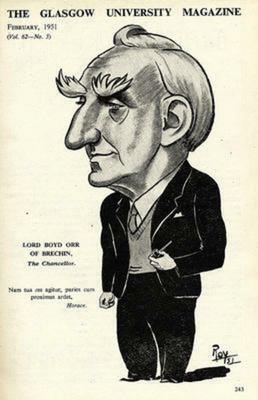 He was MP for the Scottish Universities, 1945-1946, and was created a baronet in 1949. A collection of Orr's WW1 medals are held in the Coin Cabinet of the Hunterian Museum.